What would a Christmas be around here without a Leather Couch Chronicles post? I can't believe all of the leather I have gotten out of that Goodwill leather couch. Just think it all started with the slouchy leather DIY storage bin, and we are already talking about Christmas ornaments. 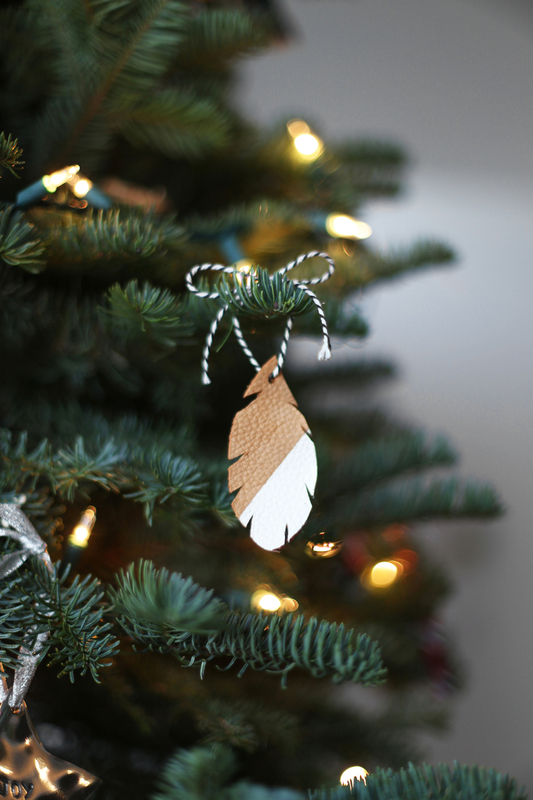 This is one of my favorite modern DIY Christmas ornament ideas, and it will only take you a few. Let's get started on this Christmas ornament tutorial. With your Sharpie (link is to another fave Sharpie project), draw an oval feather shape on the backside of your leather. Cut out the oval shape making slits on the side. Punch a hole on the top of the feather that is big enough for the twine to fit through. Tape across the feather at an angle. 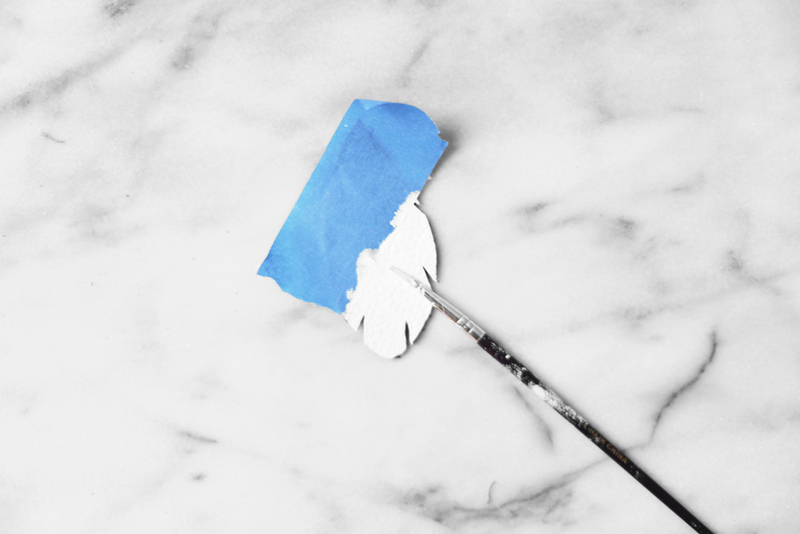 Paint one half white. Allow to dry for at least two hours. Thread the twine through the hole and tie the ends together. I made a lil' video tutorial for you! For more videos, please check out my YouTube channel. 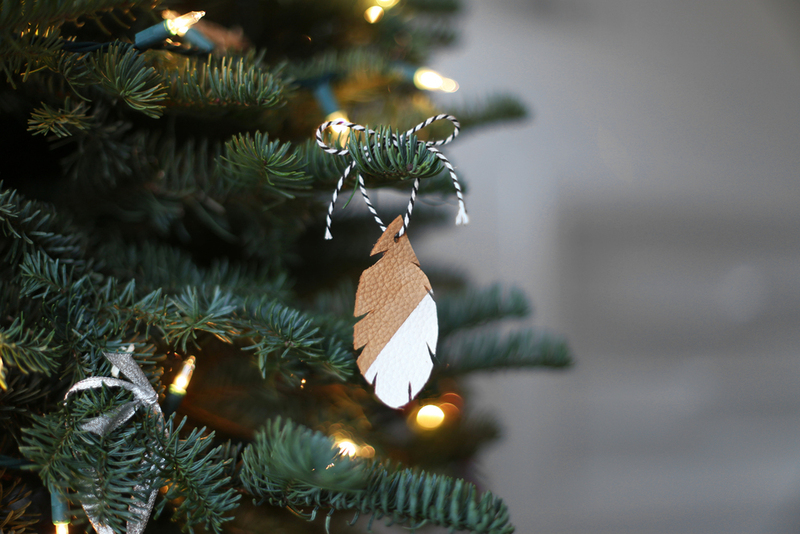 What kind of homemade ornaments have you made? I need some new ideas! Thank you! Can't wait to be besties! 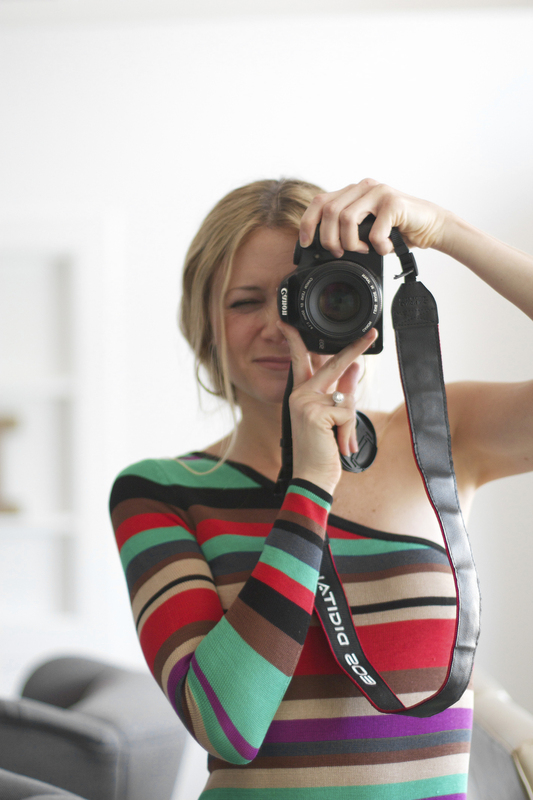 Please check your email to confirm your subscription and receive your free party printable collection!